New start-up, Lightvert Ltd., is aiming to disrupt the Digital Out-of-Home market with a ground-breaking new type of augmented reality solution called ECHO. 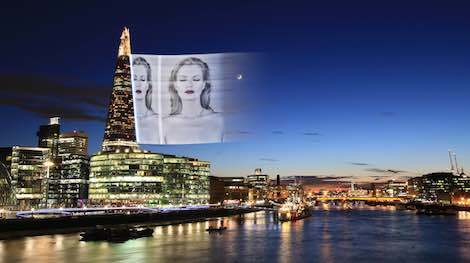 ECHO is a patented technology that is capable of producing huge digital images that appear up to 200m high. The startup’s aim is to unlock the vast amounts of lucrative advertising real estate on high-rise buildings and other tall structures. It has been funded to date by Innovate UK and a small cohort of seed funders, ECHO has completed the proof of concept and is now ready to build a commercial solution. This will be funded through an equity crowdfunding campaign launching February 13, 2017 through Crowdcube, with the aim of ultimately bringing ECHO to market later this year. ECHO has a global patent pending, and Lightvert believes it will open up exciting new advertising opportunities in outdoor spaces that are currently inaccessible to traditional and digital OOH. Lightvert has received a positive response from several creative agencies and outdoor media specialists. Among the many supporting the ECHO concept is Simon Dicketts, Executive Creative Director of M&C Saatchi who was quoted as saying “This is exciting. Technology that frees up the mind to new creative possibilities has to be a good thing”. You can view the ECHO video on their home page here. This entry was posted on Monday, February 13th, 2017 at 13:01 @584 and is filed under DailyDOOH Update. You can follow any responses to this entry through the RSS 2.0 feed. You can leave a response, or trackback from your own site.